The Lumix G85, otherwise known as the G80 in Europe or the G81 in Germany, is a popular model thanks to its balanced blend of functionalities. Not only does it have an ergonomic design, but it also comes with lots of useful functions including 5-axis stabilisation and 4K video, making it an ideal companion for hybrid shooting at an accessible price. 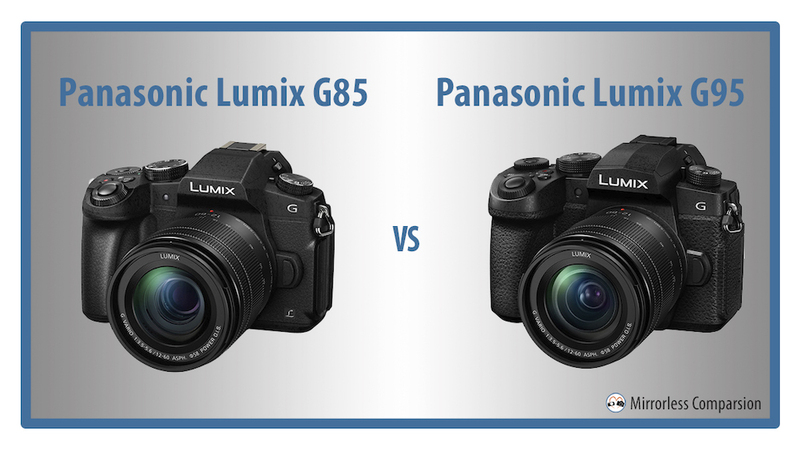 It therefore comes as no surprise that Panasonic decided to release its successor this year: the G95 (G90 in Europe, G91 in Germany). This new camera is an improvement over the previous model thanks to features such as unlimited recording in 4K and the V-log profile (now included by default), both of which make it an even more attractive choice for video. Ethics statement: The following is based on our personal experience with the G85, and the official information about the G95. We were not asked to write anything about these products, nor were we provided with any sort of compensation. Within the article, there are affiliate links. If you buy something after clicking the link, we will receive a small commission. To know more about our ethics, you can visit our full disclosure page. Thank you! Let’s begin with the most obvious upgrade: the sensor. Although both cameras employ a Four Thirds sensor, the G95 uses the same 20.3MP sensor as the flagship G9 whereas the G85 has an older sensor with just 16MP. Neither has an optical low-pass filter, allowing for a small improvement in resolution. The ISO sensitivity is the same, ranging from 200 to 25600 with an optional “pull” value of ISO 100. The G95’s design is largely identical to that of the G85, which isn’t a bad thing since the older camera was already very comfortable to use thanks to its large grip, fully articulating flip-out screen, and large 2360k-dot EVF. The handful of upgrades the G95 has received are mostly minor. There are three new buttons on the top plate for WB, ISO and exposure compensation, a new rear thumb wheel, a repositioned microphone input that allows the screen to flip out to the side unobstructed, and most importantly, a 3.5mm headphone jack. Interestingly, the LCD panel of the G85’s touchscreen is now an OLED panel on the G95. Both models have a dust and splash proof construction. The new camera is also a little heavier and larger as you can see from the measurements below. This is partly due to the marginally larger grip of the G95. Something that will surely please videographers is that the new G95 can record in 4K at 24/25/30p for an unlimited duration, even in Europe where recording times are often limited to 30 minutes or less. According to the manual, the G85 has a recording time limit of 29 minutes and 59 seconds in 4K. However many users based in the US have reported that there isn’t a limit, so this likely applies only in Europe (or in other words, to the G80 and G81 versions of this camera). The maximum frame rate of the G85 in 1080p is 60fps, which is decent for slow motion filming but not as good as the G95’s top speed of 120fps. Note that at 120fps, you cannot record sound and continuous autofocus isn’t available. V-Log L is Panasonic’s log profile which offers wider dynamic range of 12 up from 10 stops for colour grading in post-production. It was developed to feature a similar curve of film digitalisation to Cineon. 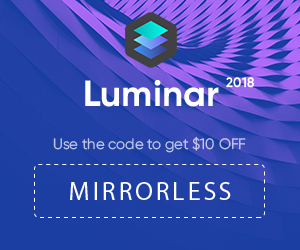 Users of the GH4 and GH5 must download this upgrade at an additional cost of approximately $100 US whereas on the new G95, it is included by default. The G85 doesn’t come with V-Log L but it does have a Cine-Like D picture profile if you want to do some basic colour grading. Although both cameras crop the sensor when recording in 4K, the G95’s is higher (1.26x) than that of the G85 (1.18x). This means that if you are shooting with a wide-angle lens, the field of view will not be as wide as when shooting stills. 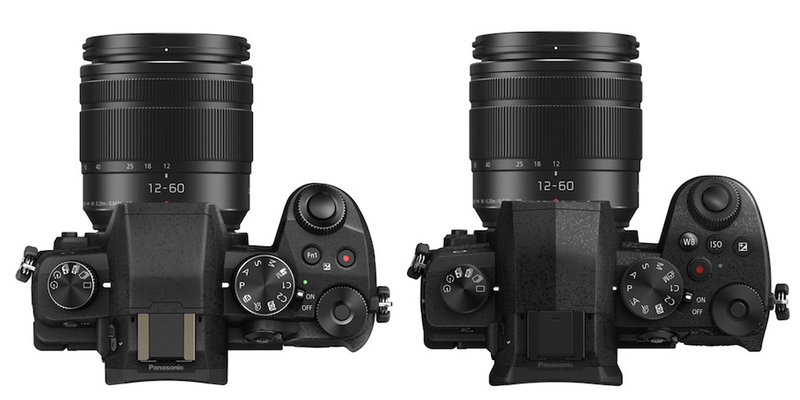 If you loved the Live Composite mode on Olympus cameras, then you’ll be over the moon – no pun intended – to discover that the G95 has a new Live View Composite mode. By entering manual mode and rotating the shutter speed to LC, you can access Live View Composite in the shooting menu. 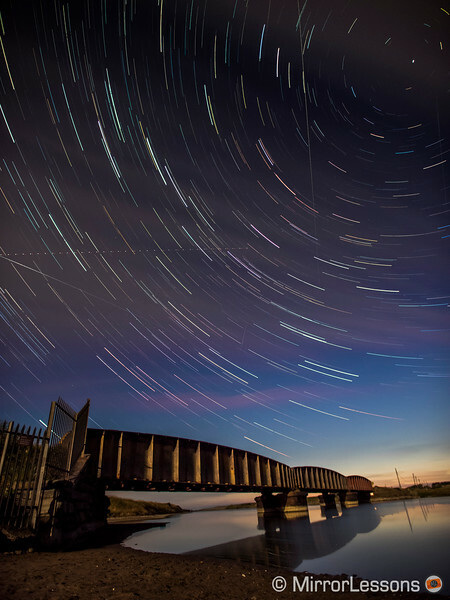 The camera will compile an image that is only made up of new light information as it hits the sensor, meaning that it can capture objects such as stars as they move across the sky, fireworks or light paintings. The G85 doesn’t have this mode but it does have something similar called Light Composition. It too compiles an image from new light information but it is one of the 4K Photo features. The result is an 8MP JPG captured from 4K footage shot at 30fps. You can also find this mode on the G95 but there isn’t much use for it now that Live View Composite exists. An exciting addition to the G95 is the ability not only to charge the battery via USB but also power the camera while it is in use. With the G85, you cannot do either of these things. Although the two cameras use the same battery type, the G95 has a shorter battery life of just 290 images on a charge as opposed to 330 on the G85. However with the Power Save LVF mode, the rating goes up to 800 frames for the G85 or 1000 for the G95. Unsurprisingly the G95 has received low-energy Bluetooth connectivity in addition to WiFi, bringing it up to speed with the latest mirrorless models. It allows for remote shooting and the wireless transfer of images to your smart device. The G85, being an older model, doesn’t have this particular feature but you can still transfer images via WiFi. Finally, we come to the price of the two cameras, and as you’d expect, the G95 is more expensive, debuting at the expected retail price of $1200 / £1260 with the 12-60mm f/3.5-5.6 kit lens. The G85 is two years old at the time of writing, so prices will vary depending on where and when you look. It can usually be found for approximately $700 / £700 / €750 with the 12-60mm f/3.5-5.6. The Lumix G95 appears to be a well-rounded model that will appeal not only to stills photographers but also to videographers thanks to video-oriented features such as unlimited recording for video, the V-Log L profile, and the much-requested addition of a headphone jack. Also incorporated is the latest Micro Four Thirds sensor, USB charging and power delivery, Bluetooth and the many benefits the Lumix G85 already provided, from 5-axis in-body stabilisation with Dual I.S.2 compatibility to a range of extra features such as 4K Photo and DFD autofocus coupled with fast burst speeds. Should you go for the new model instead of the two-year-old G85? Well, it really comes down to whether you need the new features. Personally I can see this product attracting video-makers in search of a more affordable B-cam to accompany their GH5 or GH5s owing to its interesting new features for video.